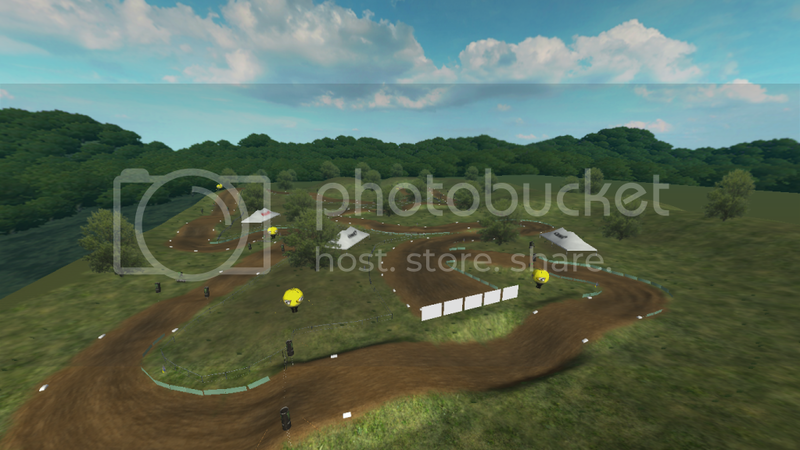 This is the third track i have made for mx sim, its not perfect but its real fun to ride and race on! I used erode to make all the ruts/burms and bumps in the track! I hope you all enjoy and please leave some feedback good/bad so i can make improvements in the future!! Looks good man! Downloading now! I like your ruts, they are very good to rail! I really like this track. At first, I thought the traction was too slippery but after a couple of laps you get used to it and it's a nice change, it kinda feels like a slightly muddy track. I love how I can rail the berms and carry a lot of momentum in the ruts but for the flat turns you need throttle control, even on a 125. Apart from that turn and after getting used to the traction, the rythm feels great, you have to pay attention to your speed or scrub the jumps, but you can rail the turns if you set up properly for the ruts, which aren't too big so you have a great feeling when you manage to carry a lot of speed through them. For me, at my skill level, it's a great balance fun/challenge. Loving this week for tracks between this one and HFA-MX, I'm usually more of a lurker on the boards but felt like I needed to spend some time posting to congratulate you for this great track. This is really good, flows nicely and is really fun to ride. Thanks for the amazing track! It's named the same name in-game... open your eyes hahaha.